Horse Head Bronze Door Knocker. 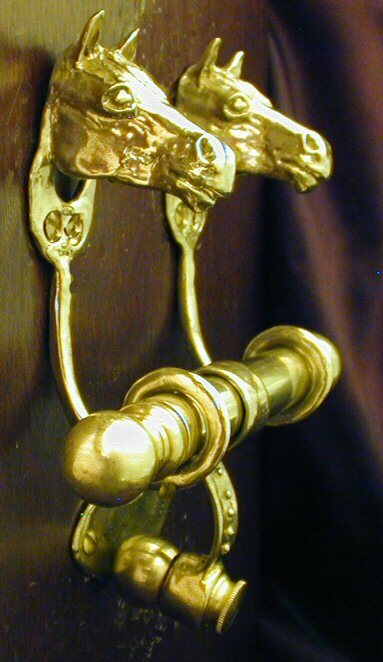 Our bronze Horse Head Door Knocker is the perfect addition to the entry decor of your home or stable area. The Bronze Horse Head Door Knocker is made with two hand cast bronze horse heads - it measures approximately 5 1/2 to 6 1/2 in H x 5 1/2" W. The Horse Door Knocker is quite substantial and suited for exterior doors. Mounting screws are included.